I couldn’t for a second pretend to be impartial, unbiased or remotely rational in telling you about this exceptional little eatery in the southern suburbs of Glasgow because it is – by a million miles – my favourite restaurant. Just a few minutes’ drive from my boyfriend’s family home, this little bit of heaven in Giffnock is the Barclays’ first port of call whenever something calls for celebration. And luckily for me, I get to join them in savouring the beautiful, locally-sourced food that chef Ian Brown creates from his compact little kitchen in this family-run restaurant. Ian was head chef at Ubiquitous Chip – long one of Glasgow’s most respected and well-known restaurants – for around 20 years before striding out on his own and, from where I’m standing, it’s going very well. Booking in advance is crucial if you want to secure a table on a Friday or Saturday night: there are only a few covers and this place has nurtured an excellent reputation for quality food and service. The maître d’, Sheila, is as much responsible for the restaurant’s success as is her husband’s masterful cooking. You couldn’t ask for a more friendly, unpretentious and helpful host and we’ve gotten to know her pretty well over the past couple of years. When we went along one evening last year, Craig’s dad was disappointed to find that his favourite rice pudding was no longer on the menu, but Sheila told us to request it on booking next time and it would be prepared especially for him! Infallible personal service like this cannot be bought and it sets Ian Brown’s far apart from its closest competitors. As it was Craig’s dad’s birthday last week, our next visit had been pencilled in for weeks and I was brimming with anticipation as the day edged closer. Finally it was here. To start, I opted for the special of scallop and serrano ham thermidor. 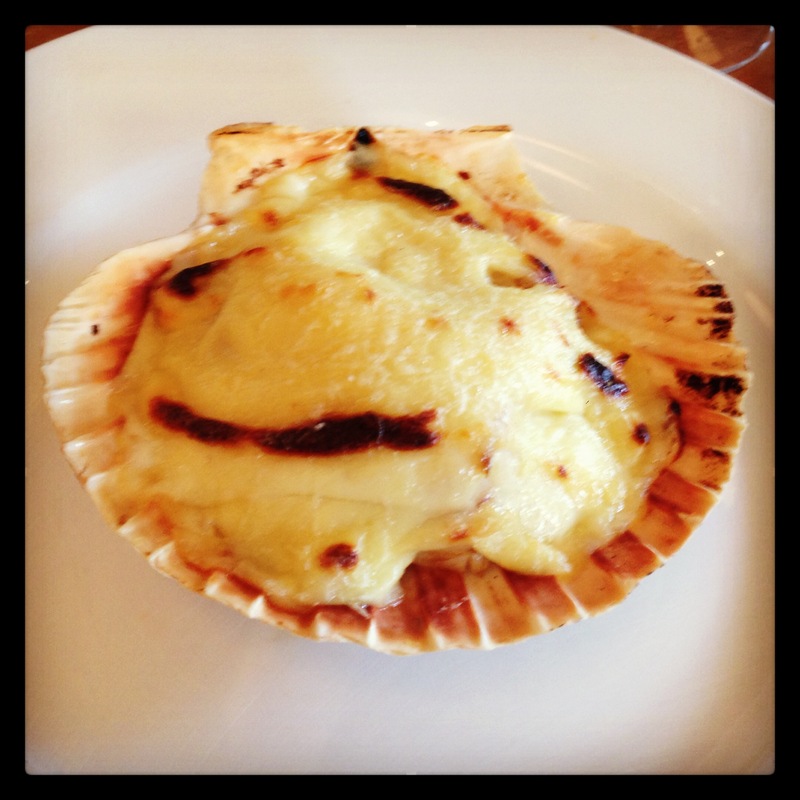 Served in the shell, it was clear that if looks were anything to go by, this was going to be a sensational dish. The decadent thermidor sauce mingled beautifully with the sweet, delicate scallop enveloped in deliciously salty serrano ham. While this was always going to be an incredibly luxurious dish, I was relieved to find that the ham ensured it wasn’t too rich to enjoy every last mouthful. Next up, my main course was also from the evening’s specials: fillet of roe deer with wild garlic potato croquette, spinach, green beans and peas. 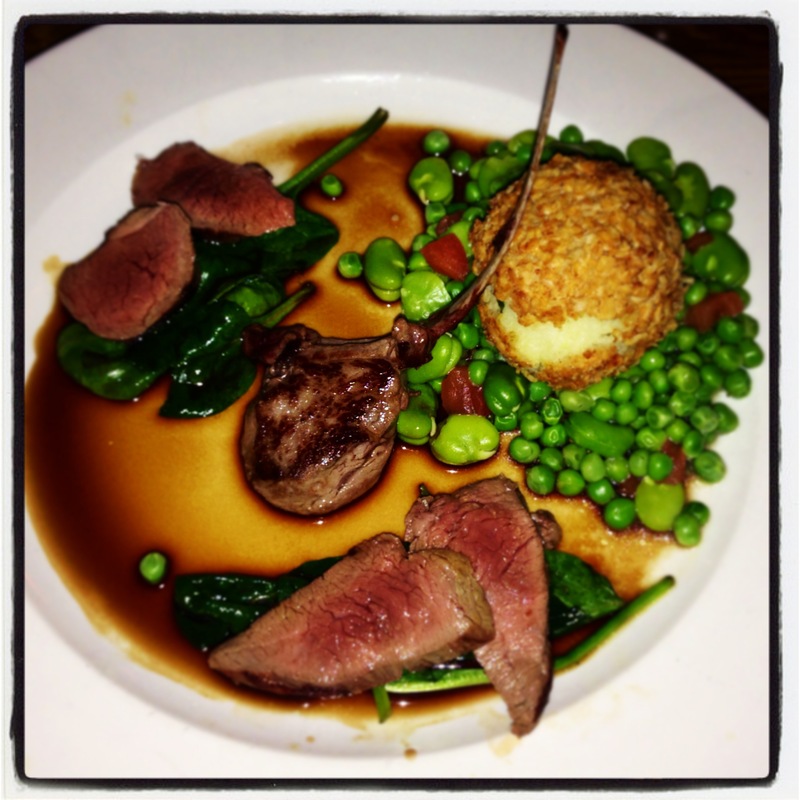 As you may have gathered from my recent blogging history, I’m somewhat fixated with venison and my mind was made up from the moment my eyes met the word ‘deer’ on the specials menu. As I’d hoped, it provided a beautiful and welcome contrast to the creamy first course I’d just gleefully devoured. The roe deer, more delicately flavoured than its red cousin, was served beautifully pink in a rich gravy and I was left wanting more. Then came the dessert to rival all others. The dark chocolate fondant was a regular on the menu and I’d contemplated giving it a go at least two or three times previously, but always opted for something different in the end. I’m certainly a chocolate lover and I like to think I have a pretty good palate for the stuff having worked for Kshocolat, a Glasgow-based luxury chocolate brand which is now defunct, during my student days. ‘Chief Taster’ was not my official title, but I felt duty-bound to test each variety once or thrice in order to offer our customers the first-hand advice they sought . . . Well, that’s my story and I’m sticking to it. 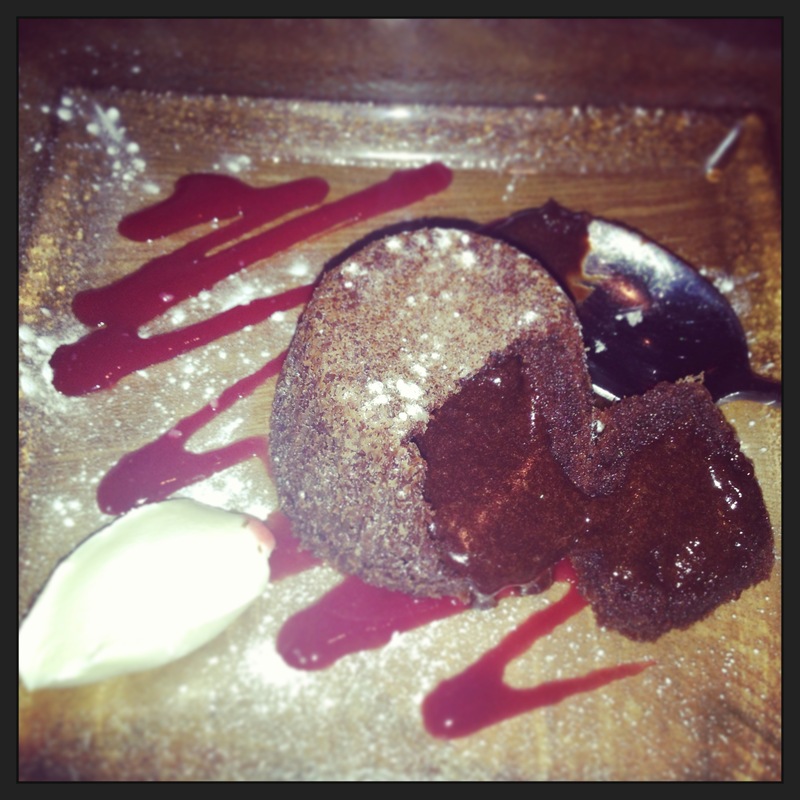 Anyway, there was no doubt in my mind that the chocolate fondant would be very good given that I was at Ian Brown’s. As I eagerly plunged my spoon into the delicate sponge pudding, the silken chocolate sauce oozed out sensually, just as it should. But I wasn’t prepared for just how divine it would be on the tongue: not too bitter; not too sweet; melt-in-the-mouth with a wonderfully intense chocolate hit. It was perfect. The raspberry sauce and ice cream were good too, but the fondant itself was so expertly balanced that these additions weren’t even necessary. Desserts don’t get any more decadent than this one, and if you happen to find yourself dining at Ian Brown’s anytime in future then I urge you to plump for the dark chocolate fondant. Now I just need to come up with a new excuse for our next visit. I don’t think I can wait until Craig’s birthday in July! It’s the Queen’s birthday and summer solstice next month. Surely they require some celebrating . . . ? Categories: Eating out | Tags: chocolate fondant, food, Giffnock, Glasgow, Ian Brown Food and Drink, Ian Brown's, Restaurant, review, roe deer, scallops, Scotland, serrano ham, thermidor | Permalink.